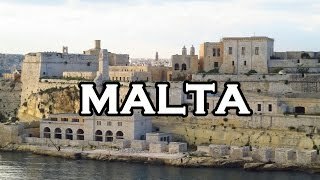 N 35° 53' 58" and E 14° 30' 52"
Valletta in Il-Belt Valletta with it's 6,794 habitants is located in Malta. It's the capital of this country. Current time in Valletta is now 09:25 PM (Monday). The local timezone is named Europe / Malta with an UTC offset of 2 hours. We know of 8 airports close to Valletta, of which 3 are larger airports. The closest airport in Malta is Luqa Airport in a distance of 4 mi (or 6 km), South-West. Besides the airports, there are other travel options available (check left side). There are several Unesco world heritage sites nearby. The closest heritage site in Malta is City of Valletta in a distance of 0 mi (or 0 km), North. We encountered 1 points of interest near this location. If you need a hotel, we compiled a list of available hotels close to the map centre further down the page. 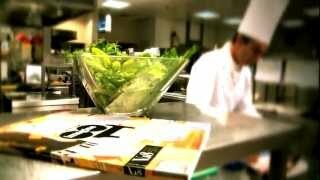 While being here, you might want to pay a visit to some of the following locations: Floriana, Vittoriosa, Senglea, Sliema and Cospicua. To further explore this place, just scroll down and browse the available info. Let's start with some photos from the area. 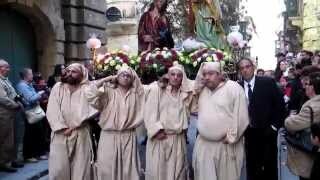 Malta - Valletta 2013 فاليتا, عاصمة مالطا. Good Friday Procession Valletta, Malta 2015. 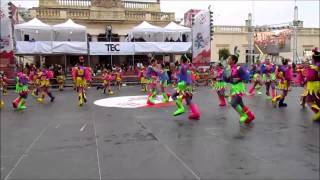 The adonelle Dancers @ St' George's Square Valletta 14/2/2015. Valletta is the capital of Malta, colloquially known as Il-Belt (English: The City) in Maltese. 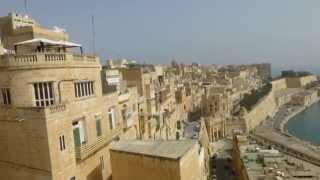 It is located in the central-eastern portion of the island of Malta, and the historical city has a population of 6,966. Valletta is the second southernmost capital of the EU member states after Nicosia. Valletta contains buildings from the 16th century onwards, built during the rule of the Order of St. John of Jerusalem, also known as Knights Hospitaller. Located at 35.8978, 14.5125 (Lat. / Lng. ), about 0 miles away. Casa Rocca Piccola is a 16th century palace in Malta, and home of the noble de Piro family. It is situated in Valletta, the capital city of Malta. There are daily tours. Located at 35.8999, 14.5154 (Lat. / Lng. ), about 0 miles away. St. Johns Co-Cathedral (Maltese: Kon-Katidral ta’ San Ġwann), located in Valletta, Malta, was built by the Knights of Malta between 1573 and 1578, having been commissioned in 1572 by Grand Master Jean de la Cassière as the conventual church of the Order of the Knights Hospitaller of St John, known as the Knights of Malta. The Church was designed by the Maltese military architect Glormu Cassar who designed several of the more prominent buildings in Valletta. Located at 35.8978, 14.5128 (Lat. / Lng. ), about 0 miles away. City Gate - also known as Putirjal in Maltese (from the Italian Porta Reale)- is the main entrance to Malta's capital city, Valletta, a UNESCO World Heritage Site. It is most commonly called Bieb il-Belt, "Door to the city". Located at 35.8962, 14.5093 (Lat. / Lng. ), about 0 miles away. Fort Saint Elmo is a fortification in Valletta, Malta. It stands on the seaward shore of the Sciberras Peninsula that divides Marsamxett Harbour from Grand Harbour, and commands the entrances to both harbours. Located at 35.9019, 14.5186 (Lat. / Lng. ), about 0 miles away. 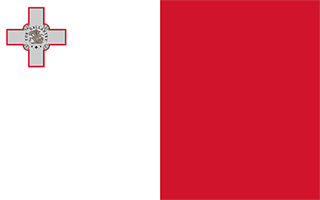 The Central Bank of Malta (Maltese: Bank Ċentrali ta’ Malta) was established on 17 April 1968. In May 2004, when Malta joined the European Union, it became an integral part of the European System of Central Banks. It was responsible for, amongst other things, issuing Maltese lira banknotes and coins, before Malta adopted the euro in 2008 and the Bank became part of the Eurosystem. The Central Bank of Malta Act was originally published by means of Act XXXI of 1967. Located at 35.8956, 14.5097 (Lat. / Lng. ), about 0 miles away. Auberge d'Aragon is a palace in Malta that was designed by Girolamo Cassar in 1571, five years after the establishment of Valletta. The residents of the palace were initially knights of Aragon, Navarre, and Catalonia. Located at 35.9, 14.5167 (Lat. / Lng. ), about 0 miles away. The Manoel Theatre is reputed to be Europe's third-oldest working theatre, and the oldest working theatre in the Commonwealth of Nations. Located on Old Theatre Street (Triq it-Teatru l-Antik) in Valletta, it is now Malta's National Theatre and home to the Malta Philharmonic Orchestra (Orkestra Filarmonika Nazzjonali). Located at 35.9003, 14.5125 (Lat. / Lng. ), about 0 miles away. 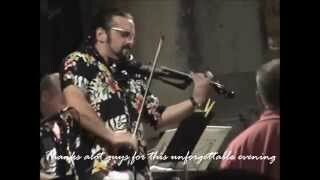 The Valletta Royal Opera House was an opera house and performing arts venue in Valletta, Malta. It was designed by English architect Edward Middleton Barry and was erected in 1866. In 1873 its interior was extensively damaged by fire but was eventually restored by 1877. The theatre received a direct hit from aerial bombing in 1942 during World War II. Prior to its destruction, it was one of the most beautiful and iconic buildings in Valletta. Located at 35.8967, 14.5103 (Lat. / Lng. ), about 0 miles away. The Grandmaster's Palace (officially referred to as The Palace) is located in Valletta. It currently houses the Office of the President of Malta and the House of Representatives, as well as being a heritage site run by Heritage Malta. Located at 35.8988, 14.5141 (Lat. / Lng. ), about 0 miles away. The Lower Barakka Gardens (Il-Barrakka t'Isfel) is a garden in Valletta, Malta, and it is twinned with the Upper Barrakka Gardens in the same city. It offers a magnificent view of the Grand Harbour and the Breakwater. There are two monuments, one dedicated to Alexander Ball and another in remembrance of the Great Siege of Malta. Located at 35.8975, 14.5178 (Lat. / Lng. ), about 0 miles away. The Upper Barrakka Gardens (Il-Barrakka ta' Fuq) are a public garden in Valletta, Malta. It is twinned with the Lower Barrakka Gardens in the same city, and offers a panoramic view of the Grand Harbour. One of Valletta's most beautiful parks, it was created in 1775 on the bastion of St. Peter and Paul. In the park there are several statues, including one from Sir Winston Churchill, and a sculpture by the Maltese sculptor Antonio Sciortino, entitled "The street boys. Located at 35.8947, 14.5122 (Lat. / Lng. ), about 0 miles away. "Our Lady of Victories" redirects here. For other uses of this name, see Our Lady of Victory (disambiguation). 50x40pxThis article does not cite any references or sources. Please help improve this article by adding citations to reliable sources. Unsourced material may be challenged and removed. Our Lady of Victories Church was the first building completed in Valletta. The body of Jean Parisot de la Valette was entombed in the church until St. John's Co-Cathedral was built. Located at 35.896, 14.5109 (Lat. / Lng. ), about 0 miles away. St Paul's Pro-Cathedral is an Anglican pro-cathedral situated in Independence Square, Valletta, Malta. A "pro-cathedral", is a church with cathedral status, and is one of three cathedrals of the Anglican Diocese of Gibraltar. Located at 35.9003, 14.5115 (Lat. / Lng. ), about 0 miles away. St Francis of Assisi Church, dedicated to St Francis of Assisi (Maltese: San Franġisk t'Assisi), in Valletta (the capital city of Malta), was built in 1598 and was completed by 1607. After a few decades, however, the church developed structural defects and in 1681 it was built anew through the "munificence" of Grand Master Gregorio Carafa, whose coat of arms adorns the façade. The church was enlarged in the 1920s following plans by Emanuel Borg, which also included a dome. Located at 35.8972, 14.5108 (Lat. / Lng. ), about 0 miles away. St Augustine Church is one of the churches built during the creation of the new city of Valletta, Malta. 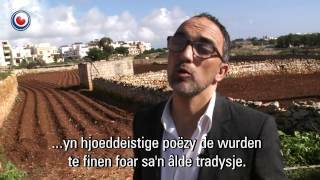 The foundation stone was laid in 1571 according to the plan and guidance of Geralomo Cassar, architect of the Knights of St John. The church was rebuilt in 1765 according to a plan of Giuseppe Bonnici. It was elevated to a parish church in 1968. St Augustine Hall, adjacent to the church, is part of the original plan of Cassar. Located at 35.8986, 14.511 (Lat. / Lng. ), about 0 miles away. The Jesuits' church (in maltese Knisja tal-Ġiżwiti) is one of the oldest churches in Valletta, Malta, and one of the largest in the diocese. The site, comprising a college and a church is bounded by four streets occupying the whole area. St Ignatius of Loyola, founder of the Society of Jesus in 1534, had considered founding a college in Malta as early as 1553. Through a letter dated 28 March 1592, Pope Clement VIII solicited the setting up of a Jesuit College. Located at 35.8996, 14.5166 (Lat. / Lng. ), about 0 miles away. Located at 35.8974, 14.514 (Lat. / Lng. ), about 0 miles away. The National Museum of Fine Arts is Malta’s major museum for the visual arts. It houses a collection of works by Maltese and foreign artists mainly representing the major European artistic styles. 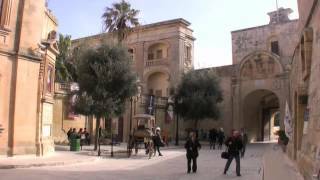 The museum is located in the capital city of Valletta, in a palace at the lower end of South Street. The area is the seat of fine historical palaces dating from the times of the Order of St John of Jerusalem that are now used by government ministries and departments. Located at 35.8983, 14.5092 (Lat. / Lng. ), about 0 miles away. 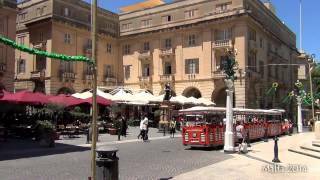 The Republic Square (also known as Queen's Square or Piazza Regina) is a small square found in front of the National Library in Valletta, Malta. In the middle of the square is a statue of Queen Victoria hence the name Queen's Square or Piazza Regina. The open space of the square is used by open air cafes, the most famous one being Cafe Cordina. Located at 35.8985, 14.5135 (Lat. / Lng. ), about 0 miles away. St. John's Square is found in front of St John's Co-Cathedral in Valletta, the capital of Malta. It features several outdoor cafés, surrounded by a graceful arcade. In the middle of the square, facing the parvis and entrance to the Cathedral, there is a small monument to former Prime Minister of Malta Enrico Mizzi, sculpted in 1964 by Vincent Apap (b 1909; d. 2003). Located at 35.8975, 14.5122 (Lat. / Lng. ), about 0 miles away. The Malta Stock Exchange (Borża ta' Malta in Maltese) is a small but active stock exchange based in Malta's capital, Valletta. It oversees the trading of a handful of important stocks and is the marketplace for Malta's bond market. The Exchange began operation in 1992. It has, for the past ten years, been the regulator of the local capital market. During this period the Exchange has sought to perform this duty to the best of its abilities but the time has now come to review the matter. Located at 35.895, 14.5117 (Lat. / Lng. ), about 0 miles away. The Auberge de Castille (Maltese: Il-Berġa ta' Kastilja) is located within the city of Valletta and houses the office of the Prime Minister of Malta. Located at 35.8958, 14.5114 (Lat. / Lng. ), about 0 miles away. Located at 35.8975, 14.5112 (Lat. / Lng. ), about 0 miles away. The Lascaris Battery is an artillery battery in Malta. The installation is located on the east side of Valletta and is connected to the St. Peter's Bastion of the Valletta Land Front. Construction began in 1854 during the period of British rule; its use as Britain's headquarters for the defence of the island during World War II was a well kept secret. Located at 35.8939, 14.5128 (Lat. / Lng. ), about 0 miles away. These are some bigger and more relevant cities in the wider vivinity of Valletta. These are the most popular locations in Malta on Tripmondo.